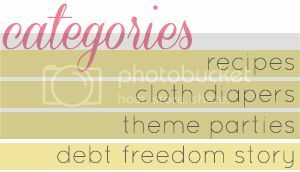 The Buerglers: ABCs of Cloth Diapering: Why bother? Decoding the Hype and Mystery. ABCs of Cloth Diapering: Why bother? Decoding the Hype and Mystery. I've recently started working for a cloth diaper shop. We're located inside an OB/GYN office so a lot of our foot traffic is pregnant women waiting for their appointments. The number one question I get is "Why bother with cloth diapers? I don't get it." followed by a candid, "Sooo what do you do with all the poop?" Hopefully by the end of this series you'll understand a bit about why we crazy people voluntarily deal with the poop and how to "handle" it. Before I had children, I heard of friends using a cloth diaper service. When I found out how much money it cost it didn't sound like using cloth was really about saving money. With all the extra water used for washing I couldn't imagine they were better for the environment than a disposable. I just couldn't figure out the appeal, yet the idea of cloth diapers stuck with me. 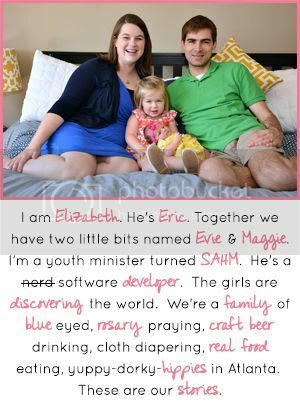 As Eric and I were married and paying off those darn student loans and car payment, we started reading several financial blogs. Several of them mentioned the cost savings of buying and using cloth diapers. Initially, that's why we got interested, but for our family it has become so much more. Cloth Diapers Save You Money. There are several figures floating around the internet. Most say it costs about $1000 to diaper a baby from birth to potty learning. This, of course, can vary based on the type of diapers you use and how aggressive you are at finding good deals. Cloth diapering can be as simple or complex as you make it. Old school prefolds (don't worry, we'll decode these fancy words soon!) and a few covers cost around $50 and you're done! And, when you're done, you can sell your covers and use your prefolds to dust! However, if you're like me, I love the simplicity that comes with the more expensive all-in-ones (AIO) and pocket diapers. A decent-sized brand-new one-sized stash will cost $500-750 for the nicest of AIOs. If you used sized diapers, or have a dedicated newborn stash add another $200-300. Some of the non-essential, but nice to have accessories for cloth will run another $50-100. So even with a posh cloth diaper system, you're looking at around $1000. 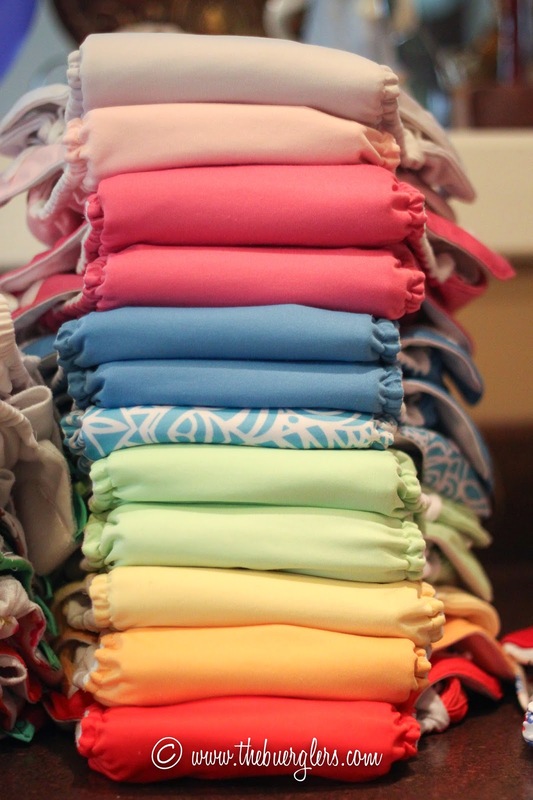 Did you know that cloth diapers have a resale market? Yep! You can buy used and/or sell your stash when you're done! Cha-ching. Did you know that most quality brands can be used for 5+ years allowing extra savings of diapering future children. And several brands are easy to "refresh" with elastic changes extending the life of your diapers for even longer. Can I get another cha-ching? Want to crunch the numbers yourself? Try this cloth diaper calculator! Cloth Diapers Are Better For The Environment. In addition to the money saving aspect, we chose to cloth diaper for the betterment of the environment. I had nannied for a while before Evie was born and realized how quickly dirty diapers pile up. Did you know it takes 200-500 years for a diaper to decompose? See other facts. The average child goes through about 6,000 diapers in their 2-3 years; this about 1 ton of waste going to sit in a landfill. WHAT? Cloth Diapers Are Better For Your Baby. After accidentally washing a disposable diaper and having those little mysterious gel beads leak all over the washer, I was convinced that the chemicals in the diapers couldn't possibly be safe for my baby's bum. Both the disposable diaper and cloth diaper people will point fingers to the other side about which one causes diaper rash. I will have to say that in my cumulative 47 months of cloth diapering the only rashes we have experienced were the weeks when we had Evie in Pampers/Huggies full time. And maybe this is because we leave disposables on a little longer? Diaper rash debate aside, here are some more convincing reads on why cloth is better for the bum. *Thank you www.thenaturalbaby.com for these resources. Cloth Diapers Are Super Cute (and addicting). 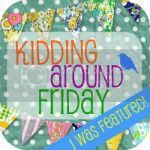 What the heck is a prefold and these other funny words I keep hearing?? Prefold Diapers Long considered the work-horse of the cloth diapering world, “prefolds” are the diapers you remember from childhood. Gone, however, are the scary diaper pins, so fear not - you needn't jab your little one unexpectedly! Prefold diapers are available in various sizes to accommodate babies from birth to potty training, and at less than $4 per diaper, are easily replaced when soiled or lost. The most economical of the cloth diapering choices, they also make great burp cloths and dusting rags when your little one moves on to the big potty! Contour Diapers One step up from prefold diapers, contour diapers still require securing within the diaper cover but instead of being rectangular in shape, they are contoured to fit the baby, with wings in front and back. They are available in a range of sizes and fabrics from organic cotton to hemp to microterry and fleece. Fitted Diapers Fitted diapers are the most technically advanced diaper available without a built-in cover. Snaps and/or velcro make securing these diapers to your baby a breeze. Fitted diapers are especially known for their ability to contain even the runniest poops, so with a well-fitting cover, your little one's clothing should stay clean and fresh all day. Pocket Diapers Pocket diapers are designed for flexibility in absorbency while still maintaining a trim fit. These diapers are great for overnight because they can be stuffed with two- or three-times what your baby needs during the day, and with a stay-dry layer of soft fleece against your baby's skin, can significantly extend the (much-needed) sleep time between diaper changes. When the stuffing is removed, drying time is reduced dramatically. 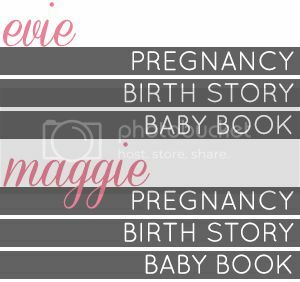 Here's a link to a fantastic list of abbreviations and definitions you'll find floating around the cloth diaper community. Link goes to an unaffiliated site. But what about the time? And the poop? I will be honest. Cloth diapering does take a little extra work. Choosing a simple system like prefolds and covers, or all-in-ones can be as easy as throwing your laundry basket in the washer, running a rinse, doing a wash, and either line or machine drying. Diapers should be washed every 2-3 days. We'll go over this more in a later post. And while we're being honest, poop. It happens. It's part of being a parent. Exclusively breast fed baby's poop is water soluble, so for those early months you can just throw the whole diaper, poop and all, in the washer. And as baby grows there are some ways to keep your poop contact under control. We'll talk about these later, too. But what do I do with them while I'm out? Meet the wetbag. There are reusable bags that are lined with PUL (fancy term for the waterproof lining) and have special leek proof zippers. Roll up your diaper and toss it in. But my son/daughter goes to daycare or a sitter? My mother refuses to help? Some places do allow cloth diapers. It depends on the state, the school, and the caregiver. I talked to a prospective preschool for Evie who was all for cloth diapering as long as I provided aplix all-in-ones and a wetbag. You just have to ask. As for your mom? Explain that modern cloth diapers aren't the annoying pins and rubber pants from our childhood. And maybe you buy a small grandma-friendly diapers. Or, in either case you can cloth diaper part time or just a home. I hear cloth diapers don't fit until 15+ pounds. Are specially sized newborn diapers worth it? Well, even though they're only sized 6-15ish pounds they fit so much better than the diapers designed for size 8-40 pounds. Those just swallow up a tiny baby. The larger diapers also add a lot of bulk to a tiny baby, thus having to size up a bit in clothes. With newborns needing 6-10 diaper changes a day, you blow through disposables very quickly. Cost wise, newborn diaper system can cost $50-350 (baby will fit in them from birth to 15ish pounds), where as disposables will cost roughly $30-60 a month. For one kid I don't think these are cost effective, however, we share a newborn stash with Eric's sister so we're really getting our money worth and for us, it's worth it! Can you survive with just the one sized diapers? Sure can! My goal for this series is for you to decode the mystery and encourage you to try something new! I am bringing in a few guest writers to help me with the areas I'm not as familiar with, and to bring different perspectives. We'll talk about each of the styles of cloth diapers in greater detail, along with brand recommendations. And we'll wrap up the series with information on accessories, washing, stripping, liners, storage, etc! 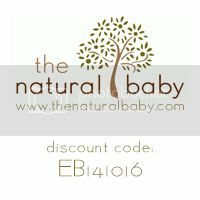 While most of the brands we discuss are available through The Natural Baby, some you'll have to hunt down on your own :) Should you choose to support me and The Natural Baby, use code EB141016 for 5% off your order. Earn rewards points too :) Thank you! Look for a giveaway this week, too! There's no right or wrong way to cloth diaper! Some die hard fans bring cloth diapers to the hospital and boast a disposable has never graced their precious child's bum. Other folks only have 6 or 8 diapers and use them on the weekends. Or, some are like us and cloth during the day, but use disposables at night.